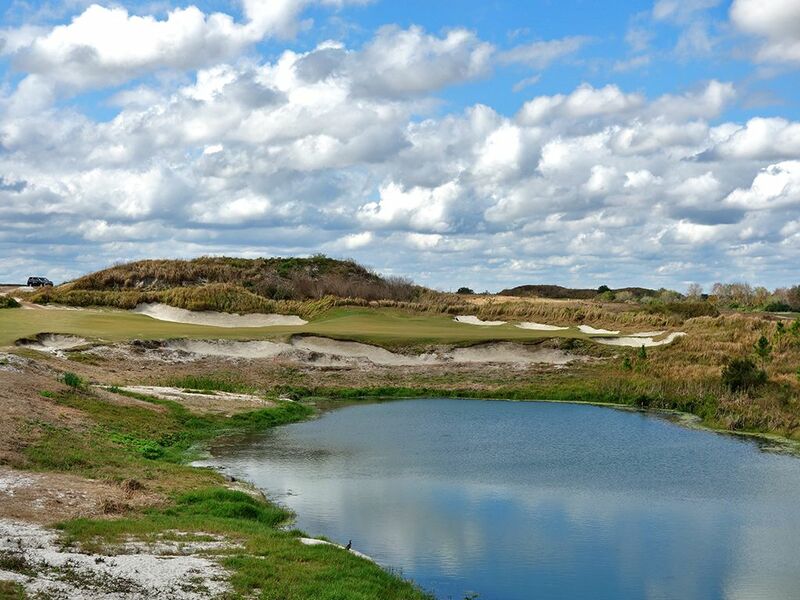 Course Website: Official Website - Visit Streamsong Resort (Black)'s official website by clicking on the link provided. 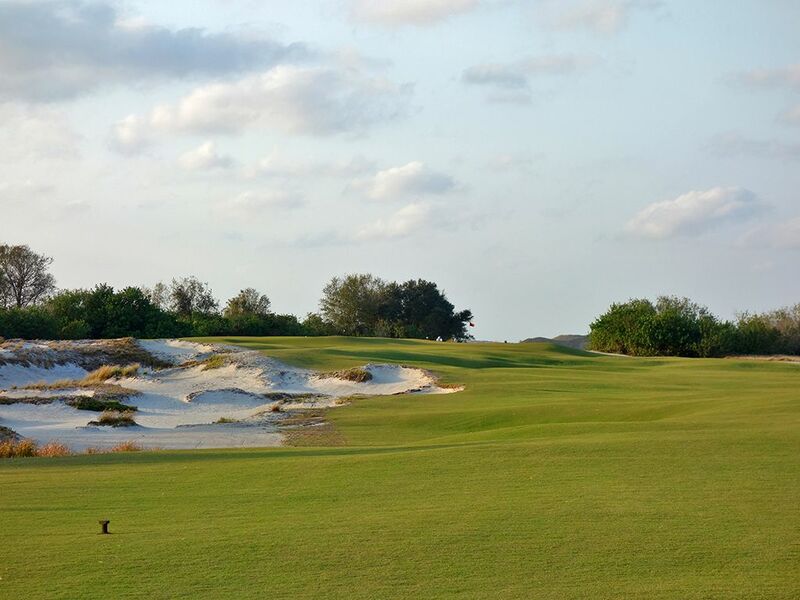 Accolades: Ranked 1st in Florida on Golf Course Gurus' Best in State list. 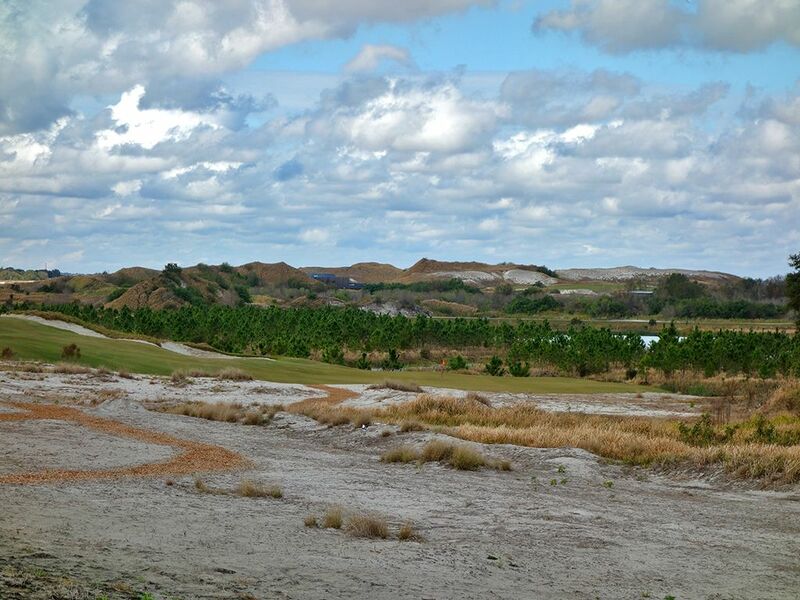 What to Expect: Gil Hanse was commissioned to design the third course (Black) at Streamsong with the monumental task of crafting a track worthy of its predecessors designed by modern legends Tom Doak (Blue course) and the Bill Coore/Ben Crenshaw team (Red course). Located on 300 acres south of the Blue and Red courses with its own clubhouse and dining, Hanse's design offers a slightly different experience with massive greens (11 acres worth compared to 7 acres at either Blue or Red), incredibly wide fairways, no rough, and waste areas outside the short grass. While the wide fairways can help with pace of play, the large greens and challenging undulations can slow things back down. 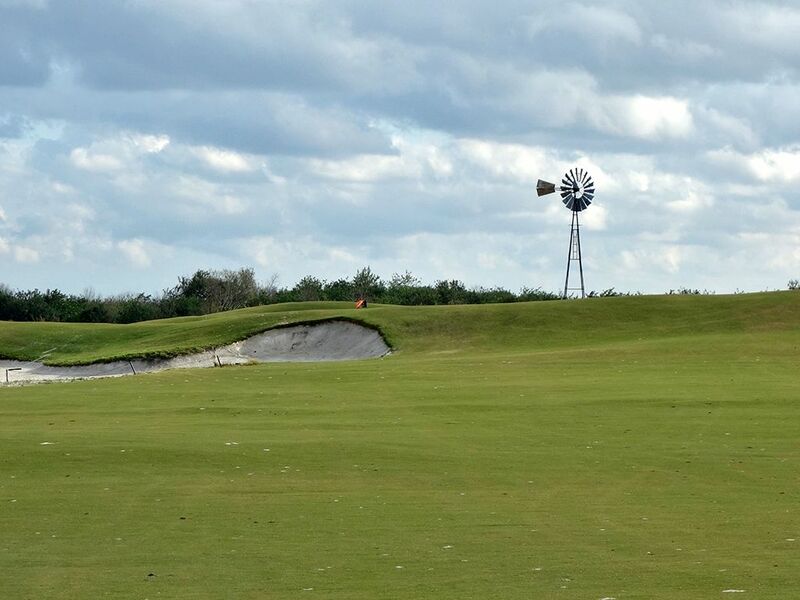 Several elevation changes exist through the layout with the climb up to the 2nd green near the windmill being one of the most severe before descending down the lengthy 3rd hole, but plenty of flat holes exist as well. The front nine is highlighted by the 9th hole that features a massive Punchbowl green with four distinct quadrants within the putting surface. 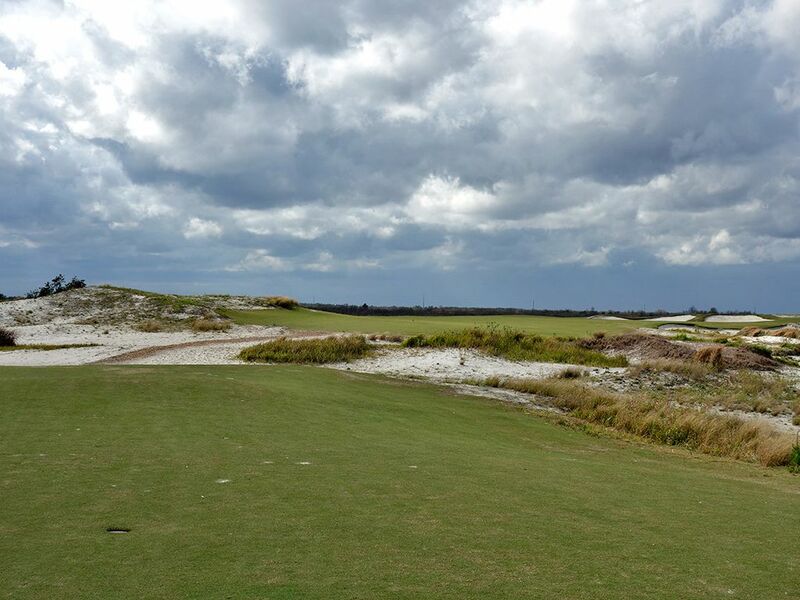 After picking up a tasty empanada at the turn, players embark on the better nine of the two sides where the closing holes are an absolute treat with the 18th being perhaps the best finishing hole in the state. The overall width helps the Black course pass the "one ball test" with flying colors where you very likely will finish the round with the same ball your started with. While tee shots are generous throughout the course, approach shots are a mixed bag of elevated, downhill, and occasionally blind when attacking the hole location. You will also find that the open canvas Hanse had to work with allowed him to run the holes in a variety of directions which is ideal for a location that can experience more wind than heavily treed courses do. Conditioning is kept firm and fast with tightly mown grass that can sometimes become indistinguishable between the fairways and greens. 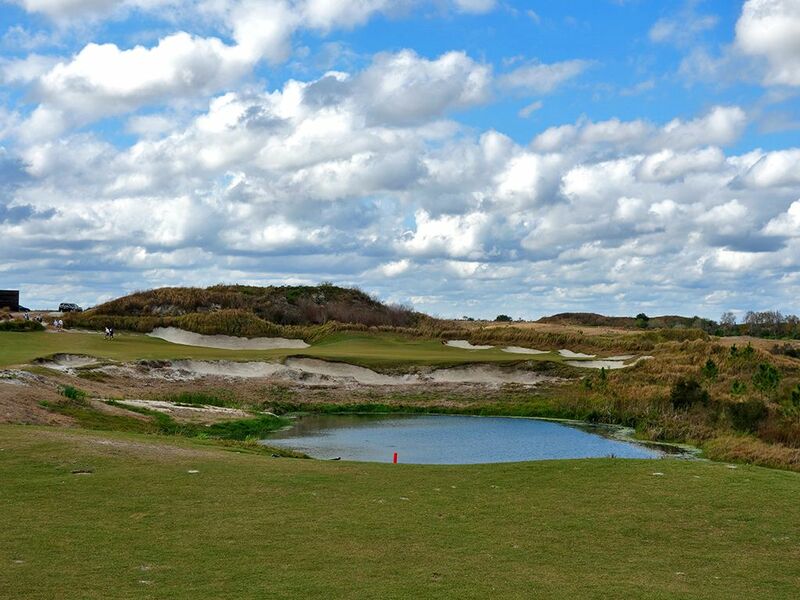 In the end, Streamsong is in the discussion of the best golf resorts in America alongside Bandon Dunes, Pebble Beach, and Kohler. 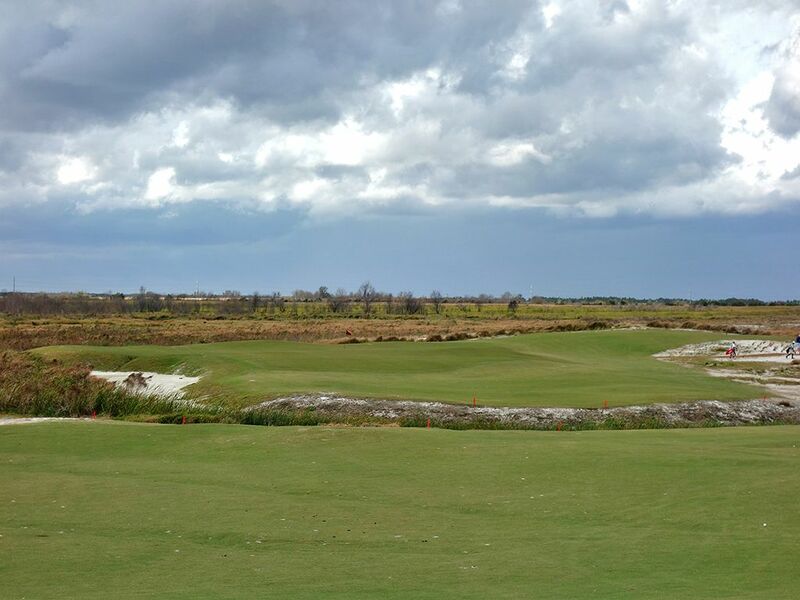 Signature Hole: 18th Hole – 586 Yard Par 5 – The closing hole at Streamsong's Black course instantly launches itself into the discussion of the best 18th holes in the state of Florida. The nearly 600 yard three-shotter starts with a drive where the further you hit it the wider the fairway gets unless you pump one over 350 yards at which point you need to stay up the left side. From the tee you have no idea what lies ahead, but upon ascending the fairway players are afforded a stunning view of a fairway that goes out to the left before wrapping around a lake on the right with the horizontal green being fronted by the water and surrounded by bunkers. The bold approach will be to take the short distance to the green by carrying the water in hopes of sticking the putting surface and having a look at eagle. The safe play goes up the left side where the contours allow players to work the ball left to right on the ground and tumble their shot towards the green before hitting a short wedge at the flag. 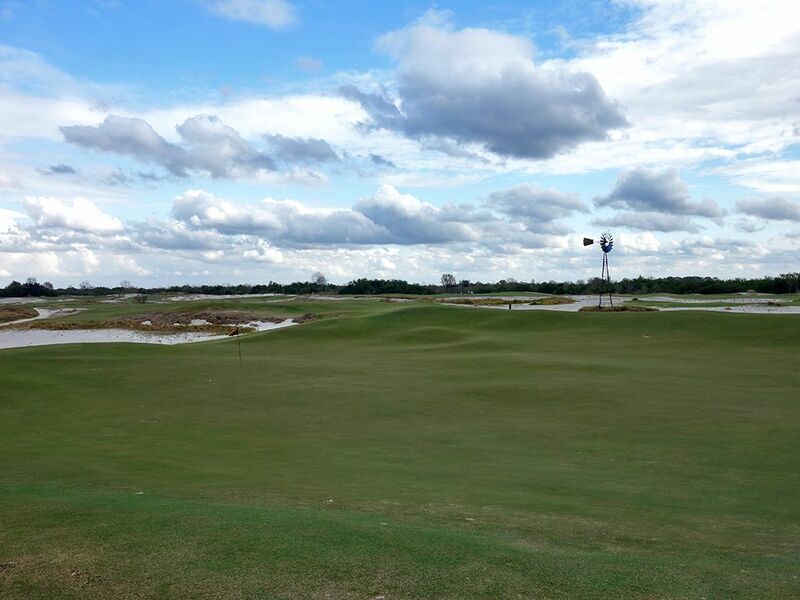 With gators as your spectators, the biggest risk/reward hole on the course awaits you on the final offering. Best Par 3: 17th Hole – 205 Yards – The downhill 17th is an impressive offering with views across the fescue and out to the lake in the distance. Players can fly their ball all the way to the putting surface or they can hit towards the hill on the left and watch the terrain work the ball onto the green. The challenge with flying the ball to the green is that if you go off the back your ball is deal. The challenge with using the hill is that you have little control over the total distance the ball will travel once it starts tumbling down towards the flag so it could get close or potentially run all the way off the opposite side. One of the highlights of Black are the options available to players on how to get around the golf course and this is another example of why. Best Par 4: 9th Hole – 450 Yards – The finishing holes of each nine at the Black course are fantastic with the 9th becoming a modern day twist on a classic. The tee shot plays straightaway to a generous fairway and sets up a blind approach to the enormous Punchbowl green that features four quadrants that the flag can be placed in. 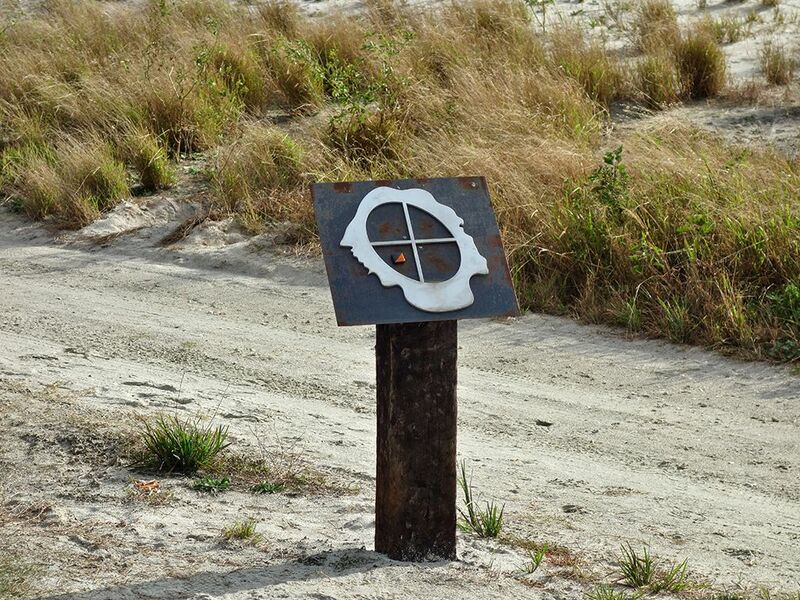 At the tee players will see a sign with a depiction of the green on it and a magnet placed in the quadrant that the hole is placed in that day. The approach shot is the most highly anticipated swing of the day as players see their ball clear the hill fronting the putting surface and disappearing into the bowl. 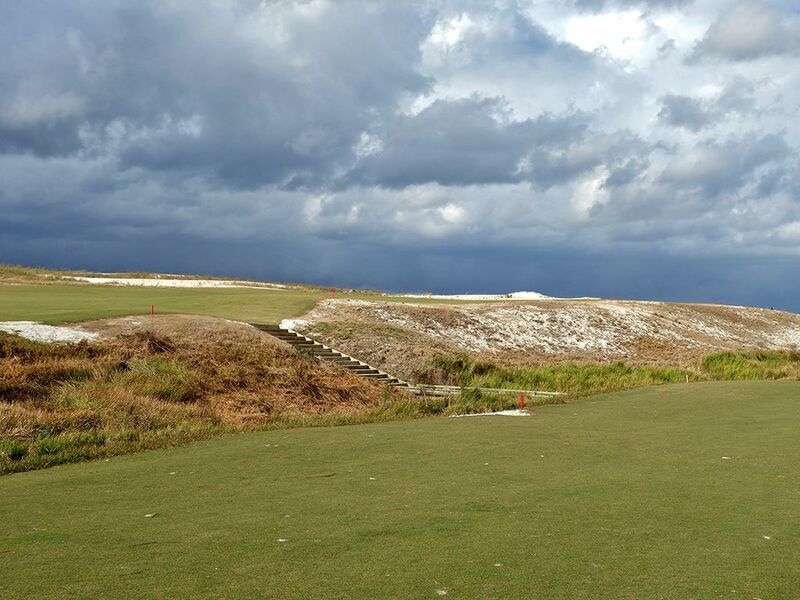 Players will eagerly ascend up the hill to catch a glimpse of how close, or far away, their ball has finished from the hole which will quickly put a smile or skowl on their face. After finishing the hole, take a minute hitting some putts around the bowl and see how many creative ways you can work the ball near the flag on this green that is flat out fun. Best Par 5: 4th Hole – 601 Yards – The 4th hole can be a birdie or a bogey faster than any other on the Black course due to the fairway that is split by a hazard. From the back tee it takes over 300 yards of carry to reach the fairway on the left which leads straight to the green, but from the closer tee boxes it becomes a much more reachable and viable option. Going down the fairway on the right requires little carry and represents a more generous target to hit. 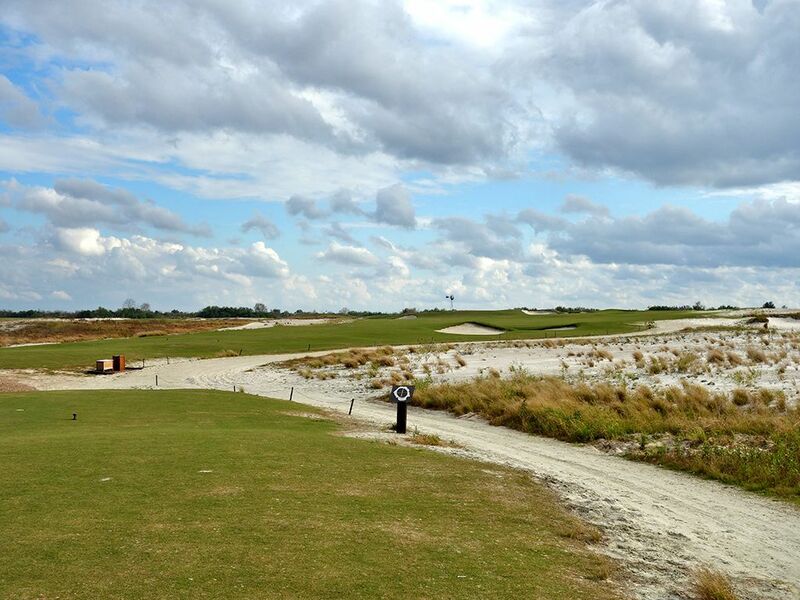 When taking the lower fairway on the right players have to decide whether to cross the hazard and carry their ball to the higher ground on the second or third shot. Players that continue down the lower fairway will run out of room approximately 125 from the green and will need to take an extra club carrying the rise that stands between them and the nearly 70 yard deep putting surface. The further down the lower fairway you go, the wider the gap gets from the upper fairway and green. Players that get to the high fairway off the tee will have a prime chance to card a birdie while those in the lower fairway set themselves up for an intimidating shot back to the high ground and risk losing their ball in the junk if not struck well. There are so many scenarios of how this hole can play out that you can't help but look forward to it each loop around. Birdie Time: 14th Hole – 298 Yard Par 4 – Now is your time to take a stroke back from Old Man Par. Tipping out under 300 yards, the 14th offers a prime opportunity to drive your tee ball onto the green or close enough to get a routine up and down for birdie. A 185 yard long bunker extends from the fairway to the back of the green up the left side of the hole and defends the left third of the green enroute to the flag. 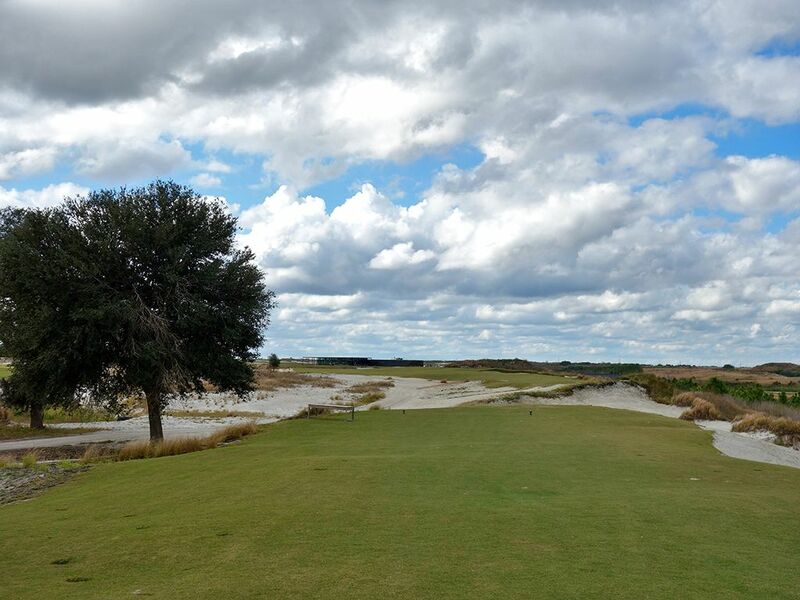 The ideal play is a draw that starts right of the bunkering and works its way back to the putting surface. The raised green is the other defense to consider, but this is certainly a hole to be taken advantage of. 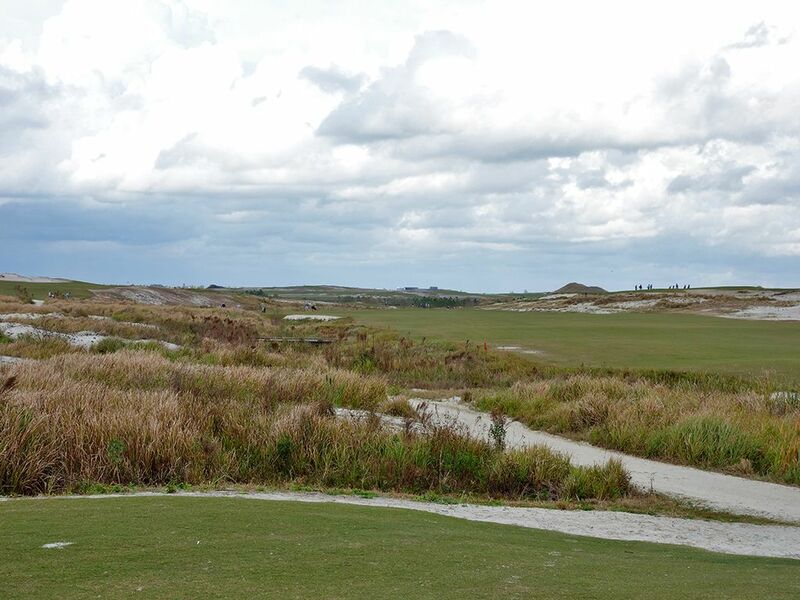 Bogey Beware: 3rd Hole – 480 Yard Par 4 – Without question, the 3rd hole is the hole most commonly played over par at Streamsong's Black course. While the 480 yards is plenty punishing, it is the hazard fronting the green that becomes the real challenge. Most players will have a mid-long iron or hybrid they are hitting into this green and the downhill lie can create additional trouble in getting the proper lift on the ball. As such, low screamers are often sent towards the green but gobbled up by the cross hazard. Many players will elect to layup 60 - 75 yards shorts of the green and wedge their ball over the hazard to the putting surface from there in hopes of saving par. Ultimately, you don't see a lot of greens in regulation on the 3rd which quickly translates to bogies or worse.